I am a born and raised resident of Whitehall, Mt. I graduated from Eastern Wyoming College in December of 2010 with an A.A.S. degree in Veterinary Technology. 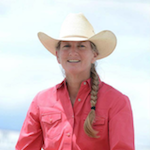 I have been certified through Montana and working at a mixed animal practices since 2011. 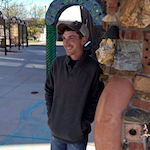 I currently work at a mixed animal practice in McAllister, Mt, and am a part-time instructor of Veterinary Technology at Pima Medical Institute’s Dillon Campus. I also currently serve on the BSVTA’s legislative committee working alongside of the MVMA to put licensure in place for Veterinary Technicians. In my free time you’ll find me competing at a rodeo, or out on a horse in the mountains. Shawni Hansen grew up in Twin Bridges, MT. She attended Northwest College in Powell, Wyoming where she graduated with an Associates in Animal Science. Upon graduation Shawni attended Eastern Wyoming College in Torrington, Wyoming obtaining her certificate and later certification as a Veterinary Technician. For pleasure, Shawni is an avid hunter, and enjoys spending time with her family and animals. 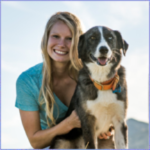 Leah began her veterinary career working at a Colorado clinic in high school. She was attending Colorado State University in pursuit of an equine science degree when a friend mentioned Bel-Rea Institute to her. After touring the school, Leah knew this was the correct career path so she transferred to Bel-Rea and returned to working at the clinic. While at Bel-Rea, Leah had the opportunity to do a two month internship at Littleton Equine among numerous other amazing opportunities. When she graduated in 2012, Leah and her husband moved to Montana where she started working at Pet Emergency and Trauma Services. After one year doing emergency medicine, she transitioned to Foothills Veterinary Hospital. 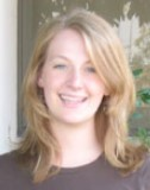 Leah wanted to become more involved, which led her to the BSVTA. After attending a regional meeting, she began helping with the newsletter, which progressed to her becoming the secretary! She is excited to help improve communications with BSVTA members. In her free time Leah can be found reading, playing with her dogs/horse/chickens, quilting or scrapbooking. Marcia is originally from Minnesota. She began working for a Veterinarian in High School and has since worked as a kennel assistant, Veterinary assistant, receptionist and finally as a Veterinary Technician. She sat for the VTNE as an On the Job trained Technician, passed, and became a Licensed Veterinary Technician in 1995. She moved to and became Certified in Montana in 2000. She is currently the Inventory Manager at Sorensen Veterinary Hospital where she has worked for 15 years. 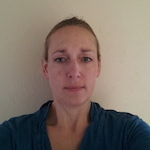 She is very active in the Big Sky Veterinary Technician Association. She is also very involved in the legislative process of having technicians licensed under the Montana Veterinary Board. Her free time is spent with her husband raising and showing cutting horses. Dixie has been a Director for BSVTA for almost three years. Supporting the technician association as a Director has broadened her knowledge of what being on a board entails and has really made her aware of the background work that happens in an organization. Dixie grew up in White Sulphur Springs Montana on a cattle ranch. Becoming a certified technician was not really in the plans for her life. 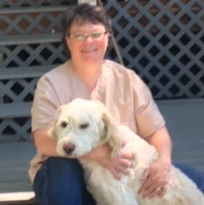 She started working at Bear Paw Veterinary Service 22 years ago as a part time receptionist. As life goes, Dixie started working more, became an assistant, then a technician and then obtained her veterinary technician certification. Currently, Dixie is the office manager at Bear Paw Veterinary Service. One thing is certain, she learns something new everyday about animals and humans. Dixie has been married to her husband, Doug for almost 31 years. They have two adult daughters and one granddaughter and have lived in Montana their entire lives. Anni grew up on a small subsistence farm in rural southcentral Pennsylvania. Which is what fostered her love for animals. She earned a BS in Veterinary Technology at Wilson College in Chambersburg, PA in 1999. In the same year, she took her first fulltime job at a vet hospital in Livingston, MT. Now she is a full-time mom of four little ones. She also manages a small farm including goats, cows, horses, chickens, cats, a dog, and a few frogs. Be a current active member of the Association. Be a person interested in furthering the mission of the Association. Have attended at least two regular general membership meetings. The President shall solicit nominations for all officers to be filled from the eligible membership of the association in March. Nominations for board positions shall be accepted from the general membership at the spring meeting. Absentee nominations will be accepted via email to the Secretary and must be received 1 week prior to the fall meeting. Nominations must have approval of the nominee. A slate of candidates consisting of not fewer than 1 will be generated. When there is only one nominee for an office, the Association shall instruct the Secretary to cast the unanimous ballot to elect. Balloting shall be done via mail only with a deadline prior to the fall meeting, where winners will be announced. Ballots shall be retained for thirty days. Only one ballot per position per member. Elections for officer positions shall be held at the fall annual meeting. Ballots will be turned in mid-day and announcement of results will be held at the conclusion of the meeting with announcement to general membership in writing. Duties commence January 1 of the following year with a shadowing period of the current officer occurring from the conclusion of the fall meeting to assuming office. Shall serve as President in the temporary absence of the current President. Be a voting member of the Board. In cooperation with the Treasurer, help develop, recommend and oversee that the Association operates within the proposed annual budget and is audited annually. Perform such duties and exercise powers as the President from time to time delegates. Term limit is 2 years with automatic succession to President. Shall transfer all records to incoming President Elect during the shadowing period with a deadline of January 1 of the following year. Record the minutes of all meetings of the Board, annual general membership meetings and any other Association meetings. Oversees membership committee and maintains accurate record of Association’s members. Assist in obtaining nominations for offices to be filled and in obtaining a slate of candidates. Assist in conduction of the general correspondence of the Association. Term is 1 year with opportunity to be re-nominated at every election. Shall transfer all records to incoming Secretary during the shadowing period with a deadline of January 1 of the following year. Receive and monitor all funds and accounts of the Association. Keep an itemized account of all transactions and give a written report at the annual meeting of the Association. Shall work with President Elect in creating an annual budget. Shall sign checks for the Association with authorization of the President. Seek and maintain tax-exempt status for the Association and promptly prepare forms/applications as required by the appropriate governmental agencies (income tax statements, etc.) All such records must be maintained and available for inspection by qualified persons. Shall transfer all records to incoming Treasurer during the shadowing period with a deadline of January 1 of the following year. *Please note: Until such time as legislation passed to be licensed under the veterinary board. At which time this section of the bylaws becomes extraneous. Hopefully as of Spring 2019 this position will be eliminated. Responsible for over-seeing certification of veterinary technicians in the state of Montana. This includes: new graduates, transfers from outside the state, and renewals of current Montana State Certified Veterinary Technicians. In coordination with the President, have all certification documents signed. Shall transfer all records to incoming Certification Coordinator during the shadowing period with a deadline of January 1 of the following year. Required attendance at all Association general meetings and Board meetings. Required representation at all MVMA meetings. In collaboration with Director 1, have at least one Director in attendance representing the Association at AVMA and NAVTA meetings. For all attended meetings, report to the Board. Compensation for meetings will be decided on by the Board on a case by case basis. Term will be 2 years, getting elected on odd years with opportunity to be re-nominated at corresponding election year. Yes, I would like to receive emails from Big Sky Veterinary Technician Association! You can unsubscribe any time.